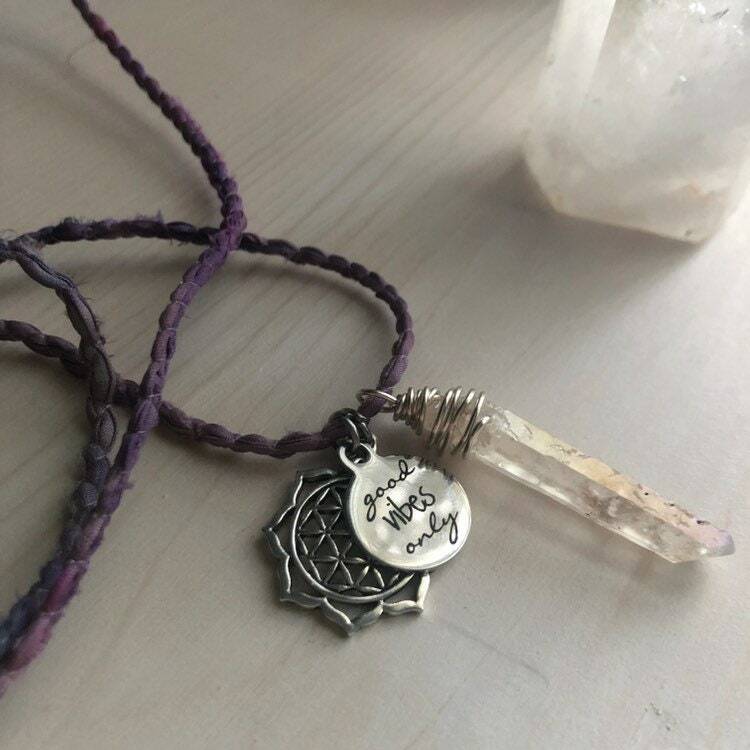 Exclusive design that has a genuine had wrapped aura quartz crystal to clear and clean your energy of negativity. 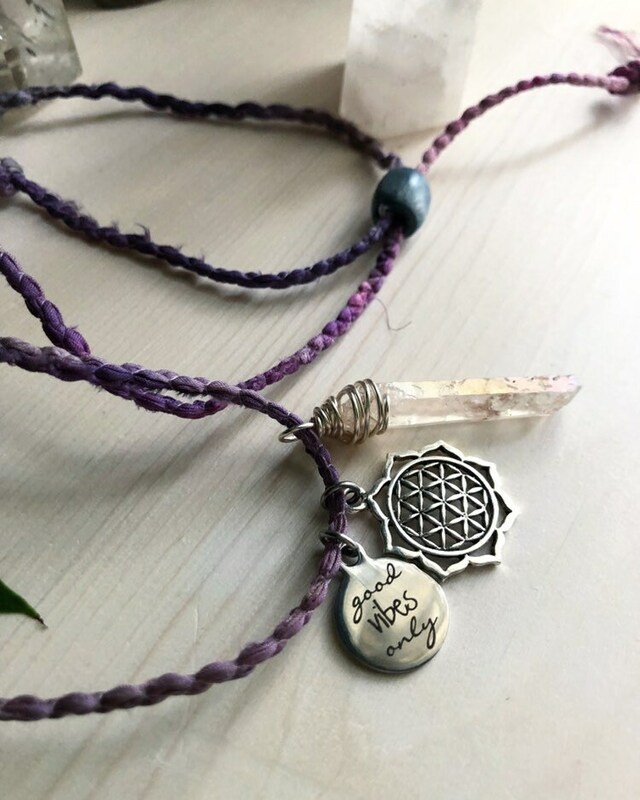 Also includes the flower of life charm that represents our connection to the earth. 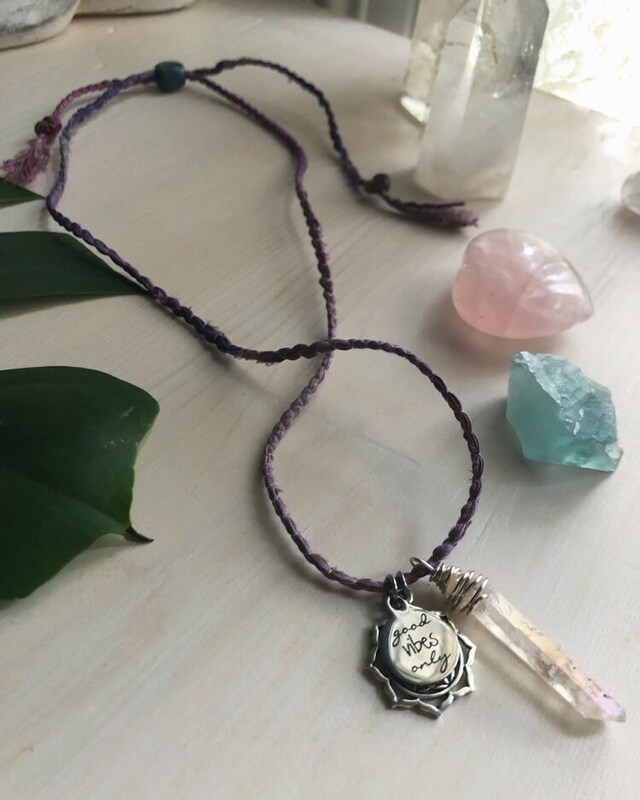 Meditation necklaces are designed to be a versatile and meaningful positive reminder that can be worn all day everyday. 🌈 COLOR CORD? 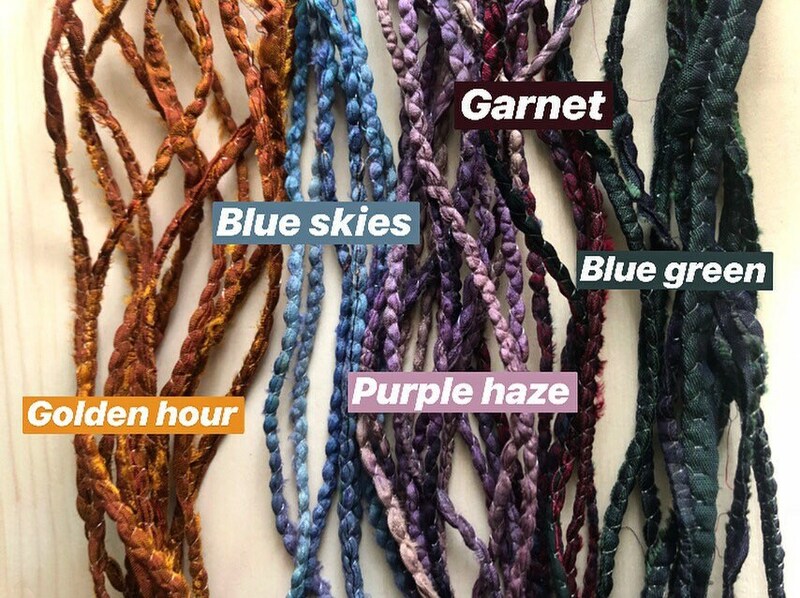 We currently have the cords pictured in the last photo due to these being recycled from worn saris. Check out the last photo and pick your color from the drop down menu. Enjoy the journey is pictured in Purple haze for reference. Crystal formations and style of wire wrap will differ from pictured due to its handmade quality and natural formation. 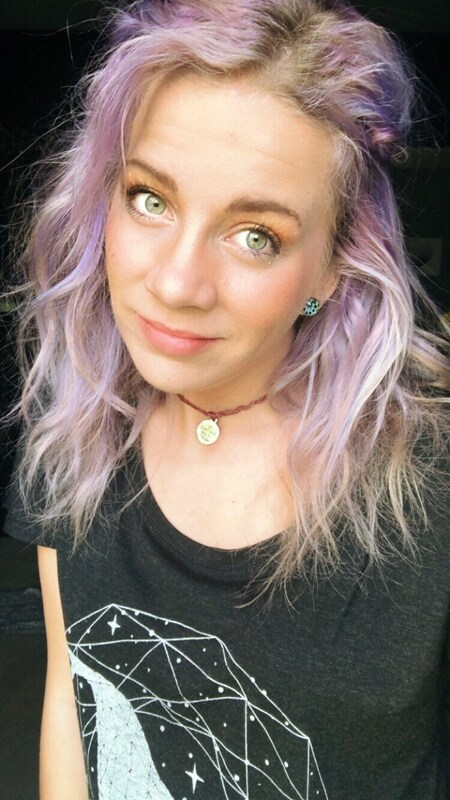 This makes each necklace unique.